Back on Dec 24, 2014, I published my first post. I still recall sitting on my couch, making sure that the article was perfect. After I hit Publish, I felt a bit of euphoria. I don't know why. 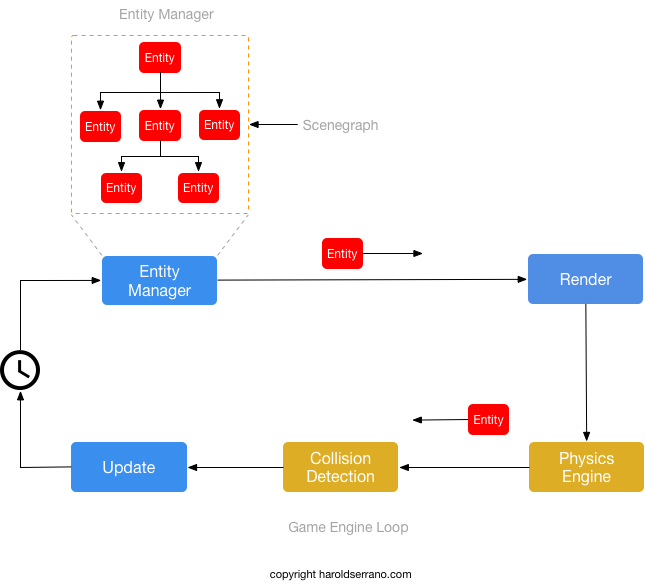 I didn't expect anyone interested in reading articles about Game Engine Development, but it felt good to hit the Publish button. About a month ago, I remembered that it had been four years since I started blogging. I went to check the analytics of the blog, and I was amazed that I had 175K visitors. And 133K of them came to my site last year. How do video game characters move? When I was a kid, a saw an arcade machine near my house. Although I only got to play it a couple of times, I do remember how curious I was with it. My curiosity was not linked to any gameplay but the science behind the games. I was curious how the characters followed the motion of the joystick; how the joystick was able to rotate or move the characters across the screen. At the time, I was too small to comprehend the math involved. It took several decades until I was able to understand how game-controllers rotate and move game characters. If you are interested in how it works, keep on reading. Mathematically, a space coordinate is defined as a 3x3 Identity Matrix. However, since a character also moves across the screen, the 3x3 matrix is extended to a 4x4 matrix which contains a translation vector. The upper 3x3 matrix controls the rotation of the character, whereas the rightmost column determines the position of the character on the screen. Therefore, the rotation and translation of a game character is defined per the components of a 4x4 matrix. 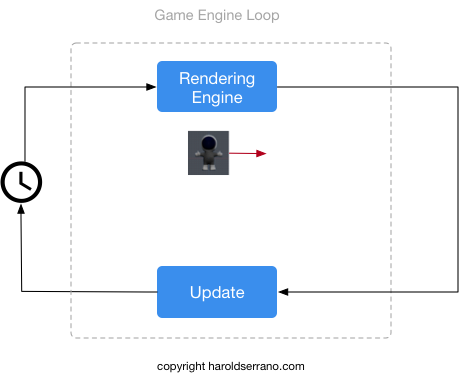 During the initialization of a game, the vertices of a game character are sent and stored in the GPU; the Graphics Processing Unit. Once a game starts, the space coordinate, i.e., the 4x4 matrix values, is continuously sent to the GPU. Each character's vertex is transformed by the 4x4 matrix right before the character is rendered on the screen. If the space coordinate matrix is the Identity Matrix, then the character is rendered without any rotation or translation. 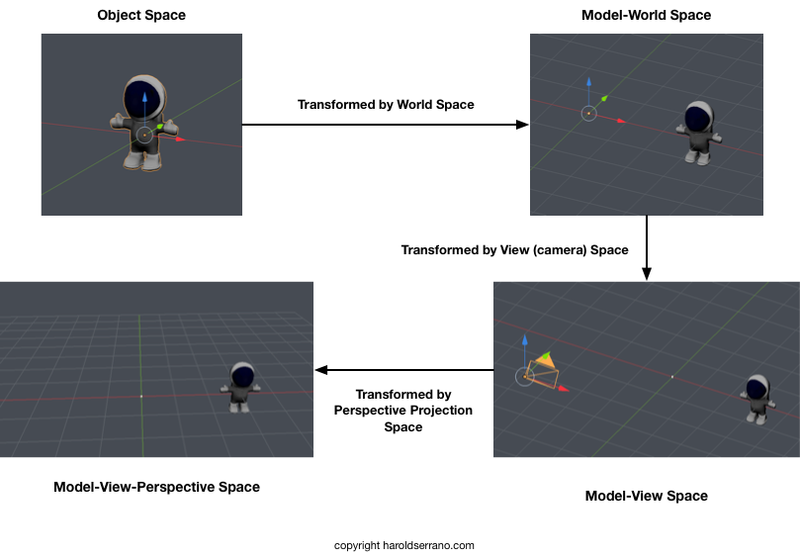 However, if the space coordinate is modified, the GPU renders the character as rotated or translated. The components of the space coordinate are modified when you move a joystick or press a button of a game controller. For example, when the joystick is moved left or right, the upper 3x3 matrix is modified causing the character to rotate. And when you press a button (or move a second joystick) the translation vector in the 4x4 matrix is changed, causing the character to move across the screen. This is how game controllers control a game character. They directly modify the Space-Coordinate of the game character. There is of course more to it, but this is the gist to how it works. What strategies do you use to finish a project? I'm sure you have read so many different strategies on how to successfully finish a project. To be frank, most of the well-known procedures don't work for me since they do not take into account behavioral aspect. We all have limited amount of energy per day. And just like you would manage time, you must also manage your energy level. In my case, my energy level is at its peak early in the morning. I have the least amount of energy around 2– 7 pm. And for some reason, I’m more focused late at night. Therefore, I use my energy level to my advantage whenever I'm working on a project. I try to complete critical tasks early in the morning. If I need to read, I'll do that at night since I'm more focused. And any not so critical tasks I try to do in the afternoons. Seeking perfection slows you down. And more importantly, it prevents you from quickly learning what works and what doesn't. Moreover, you don't know what you don't know. So it is a waste of time to complete a task to perfection, when you don’t know how it will affect your project as a whole. A better approach is to implement the task until is Just Good Enough. Doing so will allow you to quickly test, debug and fix. Moreover, it will reveal weaknesses of your project that you were unaware of. The key to finish a project is Consistency. And one way to be consistent is by making things a habit. I suggest to do at least one thing a day related to your project, no matter how small. The key is to trick your mind that you are moving forward with your goal. Most of the time, we give up and abandon a project due to psychological factors, more so than technical ones. So, manage your energy level, try to build momentum. Avoid wasting time trying to reach perfection and do at least one task a day, no matter how small it is.